Bust out the proverbial popcorn because it’s that time of year again. Yes – you know what we’re talking about. The Academy Awards are almost here. On Sunday 4 March, the red carpet will roll out at the Dolby Theatre in Hollywood, California. The Oscars ceremony is always entertaining. Even if is sometimes bitter-sweet – you know those years when you watch your favorite movies get the shaft and others that you don’t feel were quite as worthy rake in the awards. 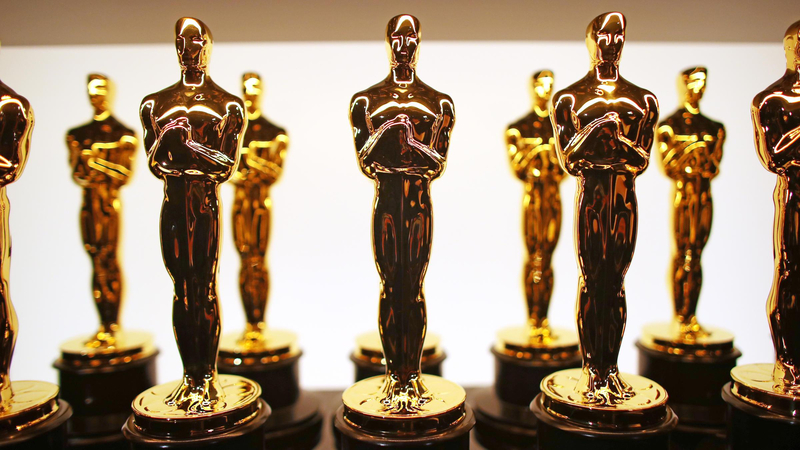 Let’s find out what Las Vegas and international powerhouses think by checking the Oscars odds at Intertops. Guillermo del Toro’s latest masterpiece The Shape of Water is getting touted as the film that is going to sweep the Academy Awards this year. It has been called the ‘most creative and beautifully crafted film’ of the lot. But will it win Best Picture? The odds are actually on Three Billboards Outside Ebbing, Missouri at 11/10. The Shape of Water has the second highest probability of winning (according to the betting gurus) at 7/5. After these two films, the odds get super long. Next in line for Best Picture would be Lady Bird at 10/1, then Get Out at 16/1, Dunkirk at 33/1, The Post at 66/1, Call Me by Your Name at 80/1, Darkest Hour and Phantom Thread bringing up the not-bloody-likely rear at 100/1 and 125/1 respectively. The odds say: It’s most likely that Three Billboards will win this one, but I’m going to hedge it with Dunkirk. It’s been a while since a war flick has won Best Picture and we think the emotions evoked by a Second World War saga could go a long way. Dunkirk will most likely win best Film Editing as well. We read one prediction article that stated that Best Director is ‘signed, sealed, and delivered to Guillermo del Toro. In this case, Las Vegas and international outlets agree. Guillermo is the light years ahead of the crowd here at 8/13. Christopher Nolan is a distant second at 6/1 for his work on Dunkirk. Greta Gerwig comes in 3rd for probability at 12/1, followed by Jordan Peele for Get Out and Paul Thomas Anderson for Phantom Thread at 40/1 and 66/1 respectively. The odds say: We have to agree with the odds again here. Guillermo del Toro wins the Best Director Oscar. As much as we would like to see Margot Robbie win the Academy Award for her conflicted portrayal of Tonya Harding, we don’t think she’ll beat out Frances McDormand. The Three Billboards Outside Ebbing, Missouri lead is by far the favourite to win Best Actress at 1/12. That is how sure Vegas is that McDormand will win the Oscar. Conversely, Robbie comes in at 25/1 for her performance in I, Tonya. These odds indicate that £10 would win you £250 if she walked away with the golden statuette. And the other actresses: Saoirse Ronan is at 10/1 for Lady Bird, Sally Hawkins is at 16/1 for The Shape of Water and Meryl Streep is at an unlikely 66/1 for The Post. The odds say: Frances McDormand has been winning awards all year and we don’t see it stopping just yet. Plus…you can’t go against those odds. Best Actress in a Leading Role goes to McDormand. This category has our heads spinning. In our opinion, Gary Oldman is one of the most underrated actors of the last 20+ years. And we believe his portrayal of Winston Churchill will finally get him the nod from the Academy. That said, there is a good chance that Daniel Day-Lewis could win for his role as Reynolds Woodcock in the very Hitchcockian Phantom Thread. Though the most deserving performance may be that of Timothée Chalamet. The complexity of emotion and subtle nuances he displays is mind-boggling. This command is even more amazing coming from such a young actor. But he is tied for second on the odds boards with Daniel Kaluuya at 16/1. Daniel Day-Lewis is at 25/1 (even though we think he has a better shot than Kaluuya or Chalamet) and Denzel Washington brings up the rear at 33/1. So, what are Gary Oldman’s odds? An astounding 1/20. These are like Mike Tyson vs. a 3rd-grader type betting odds. The odds say: Gary Oldman in a landslide. We can live with this. It’s high time he won an Academy Award. The best of the rest: Sam Lee to win Best Film Editing for Dunkirk. Allison Janney to win Best Supporting Actress for her role in I, Tonya and Sam Rockwell to win Best Supporting Actor for his performance in Three Billboards Outside Ebbing, Missouri. The 90th Academy Awards ceremony will take place at the Dolby Theatre, Los Angeles on Sunday 4 March.